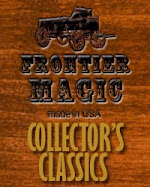 I remember being a kid and looking through the MAK Magic catalog looking at all the great magic tricks, they had everything from little pocket tricks to those big illusions and I would save my allowance to buy them all! MAK Magic has brought back a classic…“The Electric Sawing Thru Neck” – P0658. I get more requests for the return of the Electric Sawing Thru Neck” then any other “Classic” MAK Product. -You can use any spectator as your helper without any training. -Thanks to a clever little feature added by Tony Spina, when the saw passes thru, you cut a carrot in half and not your helper! Check out the improved cutting illusion. 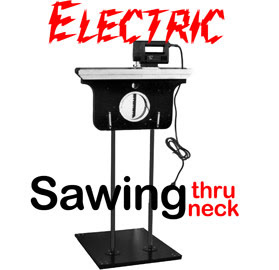 I could not wait to add MAK Magic’s “The Electric Sawing Thru Neck – P0658” to my show and highly recommend this item!